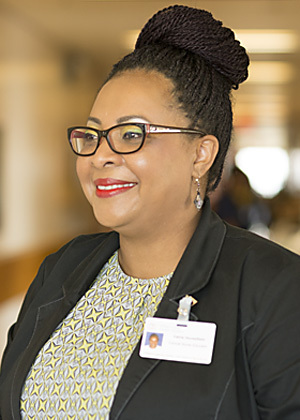 Valrie Hursefield, a clinical nurse educator at the William Osler Health System, has experience in a variety of clinical nursing areas, but has specialized in oncology and palliative care since 2006. Val completed her nursing education in Bedfordshire, England, and holds a BA in Health Care and a Master’s Degree in Health Administration. Val completed the Oncology Nursing Distance Education Course (ONDEC) certificate course in 2011, attained the CNA Hospice Palliative Care (CHPCNc) certification in 2012, and the Canadian vascular access certification (CVAAC) in 2014. She is also the third recipient in Ontario of the de Souza APN designation; having completed a clinical fellowship research project on advance care planning. Outside her clinical role, Val is dedicated to supporting academic and career progression of nurses and other health care professionals, in her role as a course lecturer with Humber College.